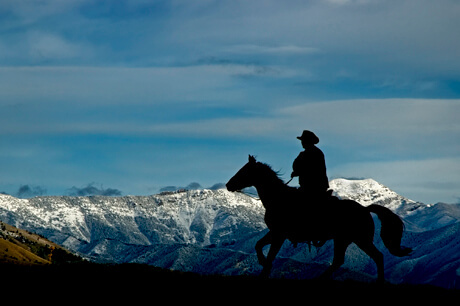 Few things sound more authentically western than the job title of Range Rider. The Blackfoot Challenge’s program lives up to the name, providing essential on-the-ground services that ensure the coexistence of wildlife and ranching—two sides of the Blackfoot Valley’s rich heritage. The Blackfoot Challenge is a collaborative of local landowners and conservationists who facilitate the longest-running range rider program in the country—not to mention winter carnivore monitoring and human-bear conflict reduction programs within communities. Each summer, range riders monitor livestock and predators across 40,000 acres of rugged country, checking herd health, updating ranchers and community members on wolf and grizzly travel, and detecting and removing carcasses from high-risk sites. Simply put, these hard-working individuals stop conflicts before they happen. We’ve been very proud to back them since 2015. The Swan Valley is where it all began for Vital Ground in Montana. Our first conservation easements happened there, and it still holds our largest collection of habitat protection projects. So we were eager to aid Swan Valley Bear Resources, a collaborative program doing vital work to reduce bear mortality in the area. 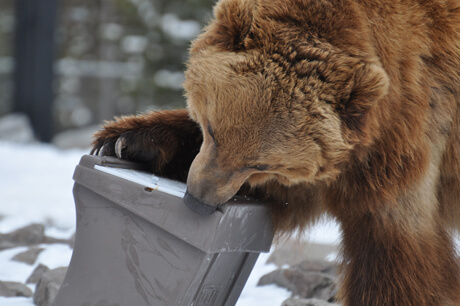 The effort is all about education: by teaching landowners about things like bear-resistant garbage containers and bear-proof fencing for livestock, the group is actively reducing the risk of bear-human conflicts. We’ve been honored to contribute to their great work for three straight years. Over the past decade, Montana’s Blackfoot Valley has welcomed back a small resident grizzly population, but conflict has followed the bears in the form of livestock depredations and crop damage. 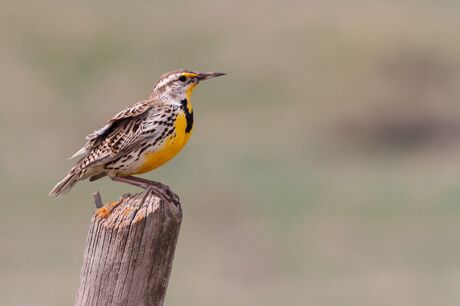 Conservationists and ranchers need new tools to allow the coexistence of two of the area’s hallmarks—wildlife and agriculture. 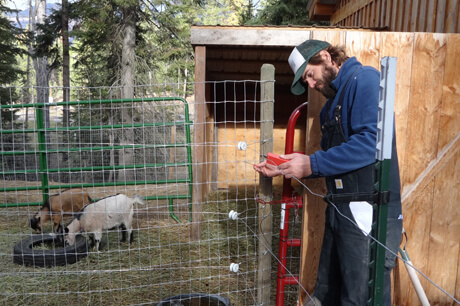 Electric fencing has proven highly effective in reducing bear conflicts within calving areas, bee yards and temporary livestock holding areas. That’s why we were eager to support a study out of Montana State University, and underwritten by Montana Fish, Wildlife & Parks that tests electric fencing methods with hopes of pinpointing the most effective techniques in allowing grizzly movement and safe passage while preventing livestock and property damage. When combined with our support of Blackfoot Challenge’s Range Rider program, this conservation partnership solidifies our commitment to conflict reduction in the Blackfoot, both up on the range and down in the valley. Six miles north of the town of Seeley Lake, Deer Creek spills east into the Swan Valley from high in the Mission Mountains. Spruce, fir and western larch line its thick and narrow drainage, attracting grizzly bears and threatened Canada lynx with the promise of good denning conditions. A strong population of native bull trout remains in its waters. 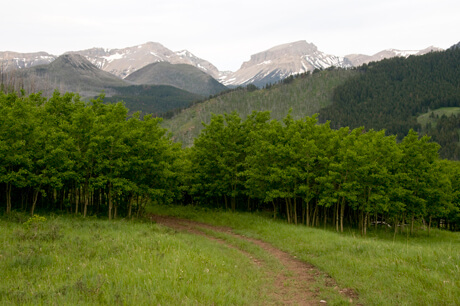 In spring, animals follow the creek down to lower elevations, where some cross the Swan Valley and enter the Bob Marshall Wilderness on its east side. This connective function makes Deer Creek a conservation hotspot, and it’s why, when Plum Creek Timber Company began selling its former parcels within the drainage, Vital Ground jumped aboard a large coalition working to protect Deer Creek as a wildlife sanctuary. With significant fundraising help from The Nature Conservancy and the Trust for Public Land, Montana Fish, Wildlife & Parks acquired these 640 acres, tacking them onto the adjacent 24,000-acre Marshall Creek Wildlife Management Area to complete a remarkable collaborative effort protecting wildlife movements in the Lower Swan. • Conservation Partner: Lincoln County Environmental Health Dept. Grizzlies have long frequented the Whitefish Range west of Glacier National Park, but the species’ recovery success in the NCDE has recently led more bears to roam farther west, down toward the Trego area south of Eureka, MT. These west-moving bears carry the potential to improve genetic linkage between the NCDE’s grizzlies and the struggling Cabinet-Yaak bear population that lives on the other side of the Salish Mountains from Trego. That makes reducing bear-human conflicts around Trego, Eureka and the Highway 93 corridor critical to long-term grizzly recovery in the Cabinet-Yaak. So we were eager to partner with Lincoln County, Montana Fish, Wildlife & Parks, and Burlington Northern Santa Fe Railway on a project to bear-proof the dumpsters at Trego’s garbage collection site. 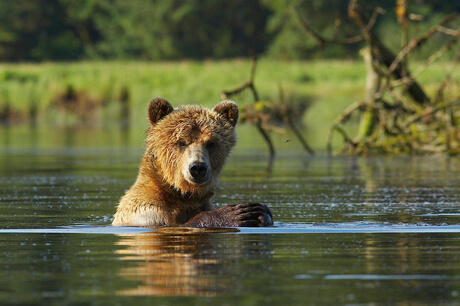 It’s one dump in one small town, but for embattled grizzlies farther west, this conflict-reduction work provides a real step toward connectivity and recovery. A five-generation family ranch; a crucial wildlife corridor; all of it a hop, skip and jump from the Montana state capitol. When we gave a partner grant to help Helena-based Prickly Pear Land Trust secure a conservation easement on the Schatz Ranch, we were helping win one for generations past, present and future. The sprawling ranch sits near the Continental Divide west of Helena, where spruce-fir slopes drop to rolling meadows and grizzlies, Canada lynx and hundreds of elk have been documented. 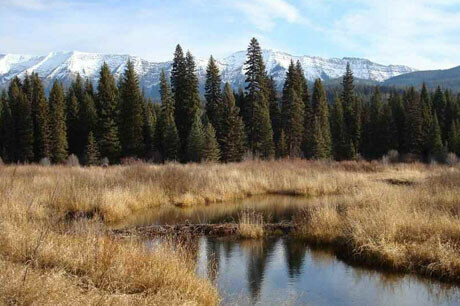 With no development besides an historic cabin that once served as a stage stop, the property adjoins public land, extending the southern reaches of the NCDE’s grizzly habitat. 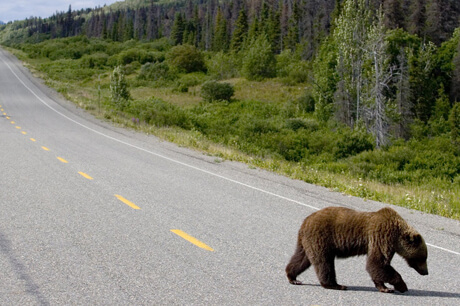 Eventually, this region could prove key in genetically linking south-ranging bears with the Greater Yellowstone Ecosystem. And right away, it ensures greater balance for wildlife and people at the edge of our capital city. On the east side of Rogers Pass, Ingersoll Ranch sprawls across the southeastern corner of the NCDE’s designated grizzly bear recovery zone, offering a habitat buffer between public wilderness lands and Montana Highway 200 and between mountain strongholds and the developed private lands east of the Rocky Mountain Front. With nearly three miles of riparian habitat along the Middle Fork of the Dearborn River, the ranch provides a wide range of habitat for grizzlies and other wildlife. 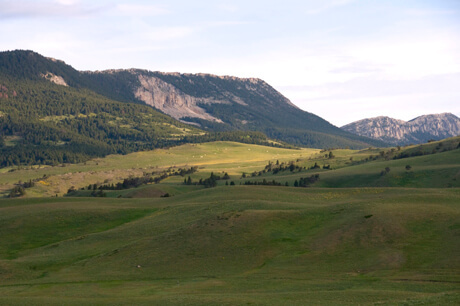 Vital Ground was eager to chip in on the effort to conserve Ingersoll Ranch from subdivision and development, providing a partner grant that helped The Nature Conservancy of Montana place a conservation easement on the property. Now, a decade later, the project is more valuable than ever, as the recovering NCDE grizzly population stretches farther south toward Yellowstone and east off the Rocky Mountain Front. In another partnership with The Nature Conservancy of Montana, we helped protect critical spring habitat for grizzlies and other wildlife along Dupuyer Creek on the Rocky Mountain Front. The vast Swanson Ranch features native grasslands and 3.5 miles of excellent riparian habitat, which now provides a crucial buffer against bear-human conflicts as grizzlies follow waterways east from the Bob Marshall toward the plains and agricultural lands of central Montana. 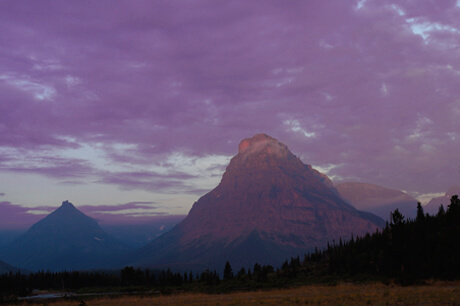 Montana’s history of public-private collaborative conservation dates back to the 1970s, when lawmakers included citizens’ right to a “clean and healthy environment” in the revised state constitution. The creation of the Blackfoot-Clearwater Wildlife Management Area marked another milestone in that history, and one of the first to which Vital Ground contributed. Joining a coalition that included the Blackfoot Challenge, Rocky Mountain Elk Foundation, and Montana Fish, Wildlife & Parks (FWP), we provided a grant helping FWP purchase this critical patchwork of private lands, preserving it as a public wildlife sanctuary for all Montanans. 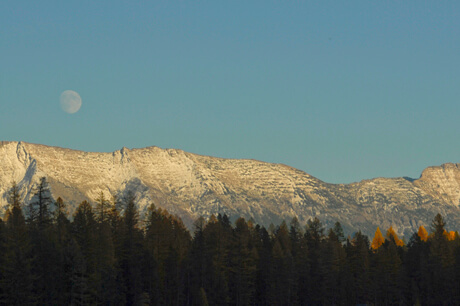 The scenic low-elevation area at the southern edge of the Swan Valley and the NCDE offers critical winter range for grizzlies, wolves, and more than 1,000 elk. This impressive cooperative effort both preserved precious wildlands and helped establish Vital Ground as a vibrant force for conservation in Montana. Even before we became a land trust and began securing our own conservation easements and acquisitions, Vital Ground had our eyes on the Swan Valley. As a critical habitat corridor between the Mission and Swan mountain ranges, the narrow portion of the valley bottom near Condon has long been a focal point for private-land conservation. 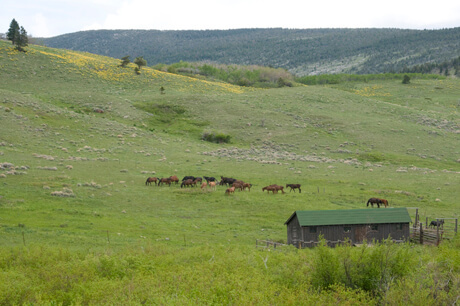 Our first project in this spectacular area was a partner grant to help Montana Land Reliance secure an easement on Gene and Patricia Tingle’s 80-acre property along Windfall Creek, which lies at the base of the Missions, just south of Elk Flats. Montana’s Flathead Valley—home to the cities of Kalispell and Whitefish—has been growing fast. Spurred by the tourism economy of Glacier National Park, Flathead Lake and several ski resorts, the largely-developed valley bottom stands in sharp contrast to the protected wildlands of Glacier and the Bob Marshall Wilderness. The contrast spells danger for grizzly bears, whose natural cycles propel them from mountain dens to lower elevations during springtime. Private-land conservation on the edges of the developed valley provide a critical buffer for these ranging bears, which is why Vital Ground eagerly assisted Montana Land Reliance in securing an easement on 484 acres adjacent to Mud Lake, a grizzly hotspot north of Bigfork. Tucked along the South Fork of the Two Medicine River, between Glacier National Park and the Bob Marshall Wilderness, the Rising Wolf Guest Ranch offers unparalleled backcountry access to visitors. 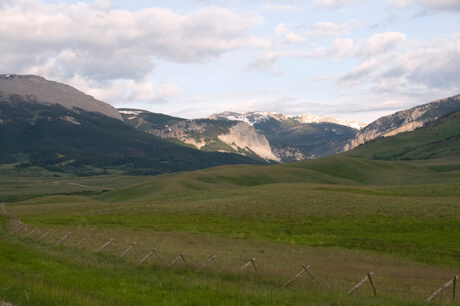 But outdoor tourism and wildlife conservation must strike a balance in this spectacular area, and our partner grant to The Nature Conservancy of Montana did just that, helping TNC secure an easement for the 164-acre ranch along U.S. Highway 2. 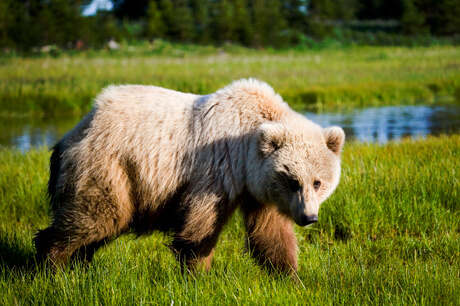 The agreement prevents further development or subdivision of the property, a critical step in providing room for grizzly bears and other wide-ranging wildlife to pass between the national park to the north and protected wilderness to the south. On the edge of the Bob Marshall Wilderness, Crawford Ranch spans nearly 2,000 acres of critical grizzly habitat, its waterways and foothills offering vital lower-elevation spring and fall range beneath the mountain strongholds to the west. As it expanded in the early 21st century, The Nature Conservancy of Montana began pinpointing such conservation hotspots in this section of the Rocky Mountain Front region. Entering our second decade as a grant-making foundation, Vital Ground was eager to support TNC’s work. A smaller parcel just north of Crawford Ranch, the Parocai property helped expand The Nature Conservancy of Montana’s growing conservation footprint along the Rocky Mountain Front. The acreage lies along Dupuyer Creek, just upstream of the much larger Swanson Ranch, which TNC conserved with an easement four years later, thanks in part to another partner grant from Vital Ground. Without the Parocai property protected from development, the larger downstream project would have lost much of its habitat value, another example of our philosophy that we don’t always have to protect the largest number of acres, just those in exactly the right place. 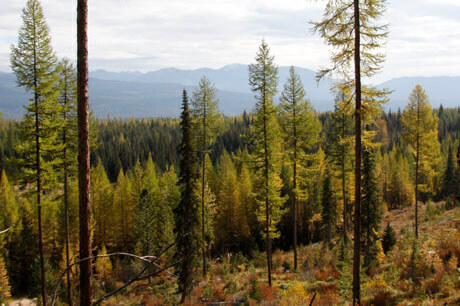 At over 2,000 acres, the Durocher-Rappold property marked one of The Nature Conservancy of Montana’s first major easements along Dupuyer Creek, all projects that Vital Ground supported with partner grants. Upstream of the Parocai and Swanson ranches, this crucial buffer habitat on the edge of the Bob Marshall Wilderness ensures protection for grizzly bears and other wildlife that follow the creek down from the mountains in search of spring and autumn forage. Lying on the south side of Dupuyer Creek opposite the Durocher-Rappold property, the Boone and Crockett Club’s Theodore Roosevelt Memorial Ranch helped cement Vital Ground and The Nature Conservancy’s commitment as partners along the Rocky Mountain Front. 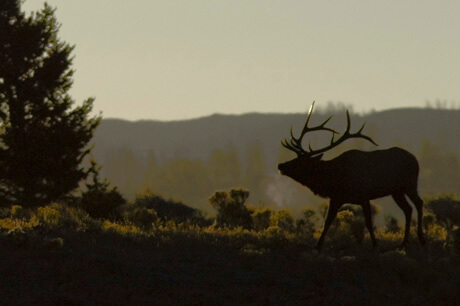 A sprawling preserve abutting the Bob Marshall Wilderness, Boone and Crockett’s ranch supports habitat research projects, innovative land management practices, and limited hunting. For grizzlies, this extended corridor of protected riparian habitat offers valuable spring forage. For Vital Ground, helping conserve this large ranch marked a fitting 10-year anniversary present for the foundation. And of course, joining forces with two like-minded groups like TNC and Boone and Crockett represents the kind of collaborative conservation Roosevelt envisioned for the West a century earlier. Due west of the town of Bynum, Dellwo Ranch marked our first collaboration with The Nature Conservancy along Montana’s Rocky Mountain Front. 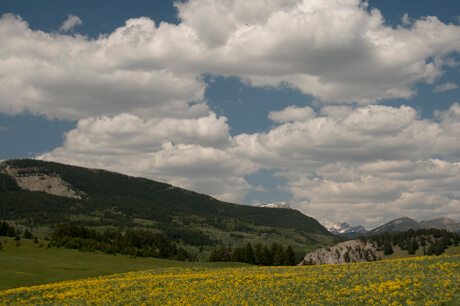 Beneath the jagged peaks of the Bob Marshall Wilderness, ranches like Dellwo can foster either conservation or conflict, with grizzly bears and other wide-ranging wildlife frequently descending to these lower-elevation buffer zones during spring green-up. By providing a partner grant to TNC, Vital Ground helped ensure that nearly 6,000 acres of valuable habitat was not subdivided into smaller ranches or home sites, a move that would have greatly increased the probability of bear-human conflicts. This collaboration proved to be an early model of success for the two organizations, becoming the first of our many team efforts to prevent overdevelopment along the Front.